End of the agreement: Have The Greens tacked left? Greens leader Christine Milne’s declaration that their agreement with Labor is finished has seen them tack left and attack the government’s failings much more openly. The Greens have slammed the mining tax, which has raised all of $126 million this year, as useless, and called for changes to make sure the billions from the mining bosses are collected as promised. This shift to the left is welcome—and creates some space to rebuild a serious left-wing challenge to Labor. The Greens’ association with Labor is clearly costing them votes—with the party’s national polling down on its 2010 federal election results. They were clobbered in the WA election where they lost almost one in three votes and suffered a 3.6 per cent swing. Worse, their agreement with Labor has delivered nothing. The Greens have not succeeded in dragging the Labor government to the left. In fact Gillard has probably been the most right-wing Labor Prime Minister ever. But The Greens are yet to make a clear break with the approach that is proving so costly. 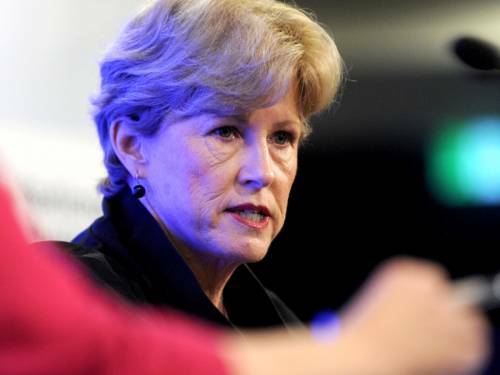 In her speech to the National Press Club Christine Milne continued to boost the “achievements” of their approach of trying to work with the Labor government to extract concessions based on The Greens’ parliamentary numbers. In particular she praised the carbon tax, calling it, “the biggest environmental, economic and social reform for decades”. But it does nothing to cut carbon emissions; it is extremely unpopular, and the emphasis on the carbon tax has seriously set back the chances of real action on climate change. But as it is the one key concession The Greens think they have got from Labor, the party continues to promote it. Milne’s emphasis on environmental issues is an effort to play to The Greens’ traditional middle class supporters—in the hope of holding onto their existing electoral support. The Greens are right to oppose the ruthless contempt for the environment of the coal seam gas companies and the mining giants. But if the party is going to shift politics to the left and break the stultifying neo-liberal consensus, it needs to relate to Labor’s traditional left-wing working class base. Labor’s core support has always been amongst unions and workers. The trade unions that have supported refugees, opposed uranium mining and taken up similar social issues show that on Labor’s left there is a substantial group of people who are both concerned with economic issues and these more recognisably left issues. A clear indication that The Greens will endorse a “vote 2 Labor” in the federal election to keep Abbott out would be one way to indicate that they make a principled distinction between Labor and Liberal. It would also indicate to Labor’s base that they are unequivocally on their side. Some sections of the union movement are looking to The Greens as a possible alternative to Labor. But The Greens will not win over unionists and workers unless they go on the offensive over issues that concern the majority of the population: union rights, longer hours at work, job losses, cost of living pressures and the woeful state of public services. The Greens need to learn to speak the language of class and take up these economic issues if the party is to grow into the clearly left-wing force that many of its supporters want it to be.